Appledore Island is one of nine islands in the Isles of Shoals archipelago, located 6 nautical miles off the coast of Seacoast New Hampshire and Maine. Appledore Island falls on the Maine side, under the jurisdiction of the Town of Kittery. Islands to the south of Appledore belong to Rye, NH. Home to the Shoals Marine Laboratory (SML), Appledore Island serves as a remote marine science field station from May-September each year. SML offers undergraduate college courses and courses for high school students, in addition to providing research opportunities for student interns and members of the broader scientific community. Students, faculty, researchers, visitors, and island staff live, work, and learn together on the 95-acre campus from May-September each year. The campus includes dorm-style housing, a main common area and dining hall, as well as research laboratories and waterfront operations. A coastal Maine island with rocky shores, intertideal environments and unique terrestrial habitats, Appledore Island boasts a long human history dating back to coastal Native Americans and colonial fishing fleets. Appledore's rugged 95 acres of rock, scrub, and shore are home to a wide variety of flora and fauna. From the glaciers of the ice age to the global warming of today, read a little about the natural history of the island. SML proudly promotes and practices sustainability whereever and whenever possible. From energy conservation, to green energy technology (solar panels, wind turbine), to water consveration, recyling, and on-island composting – Appledore residents strive to be sustainable island stewards. This restored, historic island garden is the most celebrated, cultural icon of Appledore Island. Maintained by the Shoals Marine Laboratory's staff, the public is welcome to visit the garden on guided tours. 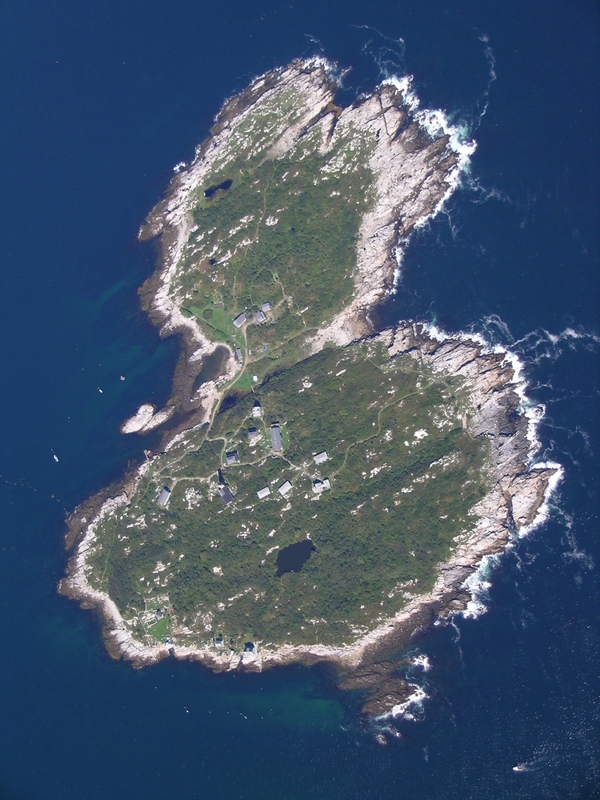 Hover cursor over map, and zoom out to view Appledore Island's location in the Isles of Shoals, Gulf of Maine. View a live feed of our island campus from the Radar Tower, here!